When I read about The Place of Voices by Lauren Lynch, I knew instantly this would be a novel I would review for my 2015 lineup. 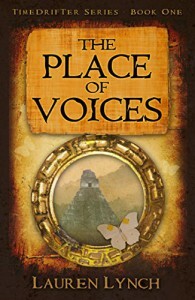 The Place of Voices is the first book in the TimeDrifter Series and revolves around two main characters, Brendan and Anna. Brendan, a young man stricken with polio, and Anna, a young lady that has lost her parents, have the ability to travel through time in order to find out how their lives are connected by events that happened in the past. Their time traveling leads them to the world of the Mayans where both of them become connected to a Mayan Princess named Tzutz Nik. Tzutz Nik is in line to become a queen of the Mutul Kingdom. However, she is reluctant to embrace this path that has been laid out of for her. 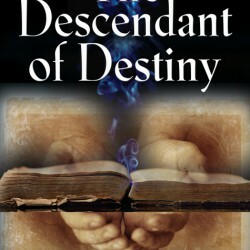 There is evil lurking throughout the novel that will force all three of them to face their greatest fears head-on. Lynch uses anthropomorphic animals as other characters in the story that seemed like a homage to The Chronicles of Narnia by C.S. Lewis and the theme of the sacrifice is grounded in a Christian worldview that’s apparent throughout the novel. The Place of Voices is a solid Young Adult Fantasy Novel and recommended for kids from 11-up and adults who love fantasy as well.